1. – Look for hazards. Before you attempt any cutting, carefully assess the site. Ensure that all structures and personal property are well away from the area where debris might fall. Most importantly, make sure you have the skills and equipment to ensure your own safety. If the limb is anywhere near a power line, contact the utility company or other professional experienced with this type of thinrisky job. Likewise if the branch is high up in the tree. Unless you are experienced with rope and harness climbing, use a boom truck, or hire a qualified professional to do the job. Do not climb without proper safety equipment and the training to use it! 2. – Remove smaller branches first. If the area is clear and there’s no risk of damaging property or other parts of the tree, you might be able to drop the whole limb at once. However, it’s really more prudent to remove the limb piece by piece. It may be necessary to use a boom or ropes to remove the pieces one at a time to prevent them from falling where they could cause damage. 3. – Cut limb to a stub. After removing the rest of the branch, you want to end up with a stub of about a foot or so before proceeding with the final cuts. To do this, cut about a third of the way upward through the limb, sawing from the bottom up (3a). This is insurance against bark stripping. Then cut through the branch from the top, just beyond the previous undercut (3b). This will prevent bark stripping as the branch falls, and leave you with a manageable piece with which to make the final cuts. 4. – Determine final cuts. Now that you’re down to a stub, determine exactly where you want the final cut to be. Do not cut into branch collars or bark ridges. You’ll want the cut to be just outside of this important healing tissue (4a). If the bark has begun healing up around a previously dead branch, avoid cutting into the living tissue, even though this might leave more a stub than you like (4b). 5. – Make final cuts. The final cuts are similar to #3: an upward cut from underneath about a third of the way through the branch, and then finish the cut from the top. This cut should be in the final desired location. 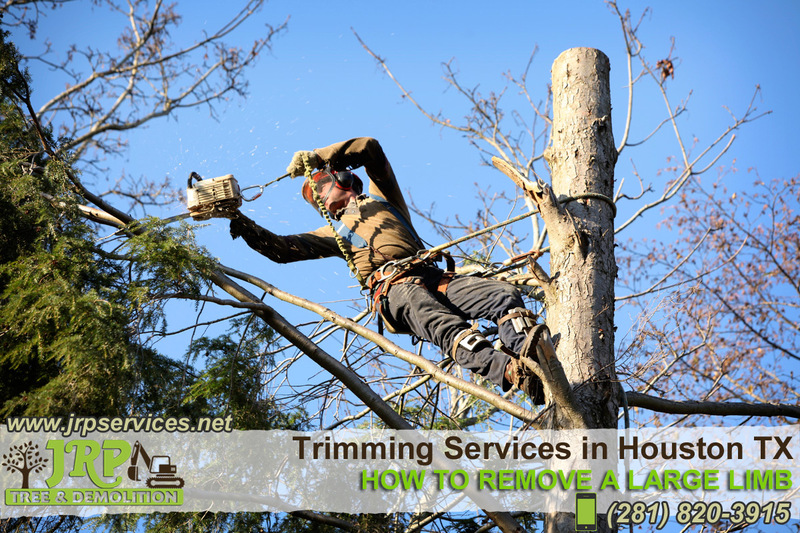 If the branch is not overly large, you may not need to make the initial cut underneath. However, even short stubs of very large limbs can weigh quite a lot and still pose a danger bark stripping, so the bottom-side cut is an important precaution.